Posted in: Praying Mantis. 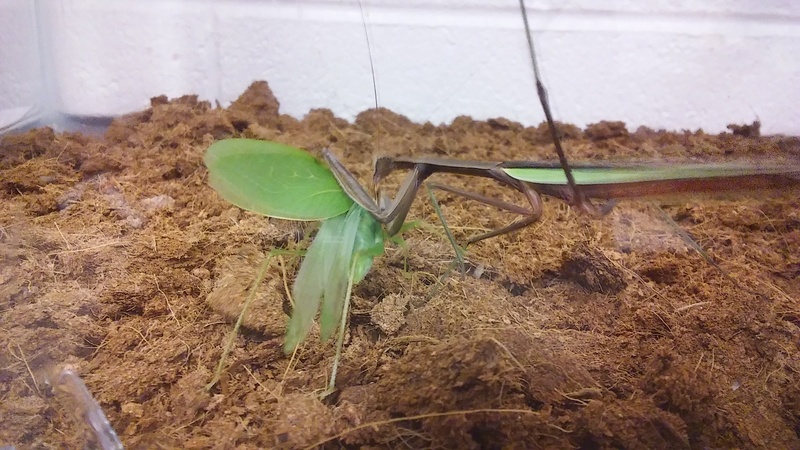 Tagged: biomechanics, praying mantis, strike. 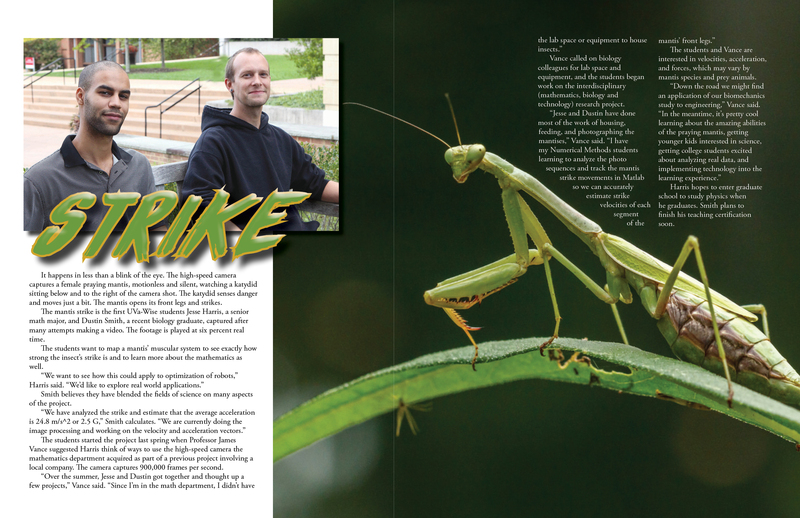 Click here to view a praying mantis strike. The video was taken on November 5, 2018 at 500 frames per second. The femur of the female praying mantis exhibits an average acceleration of 0.765 g within the course of this video, 0.114 seconds. This femur went from an average velocity of 10.31 cm/s to an average velocity of 82.68 cm/s. We continue to increase our high speed photography performance and to validate and improve the tracking software we have written. More to come. Posted in: Praying Mantis. Tagged: biomechanics, high speed photography, praying mantis. 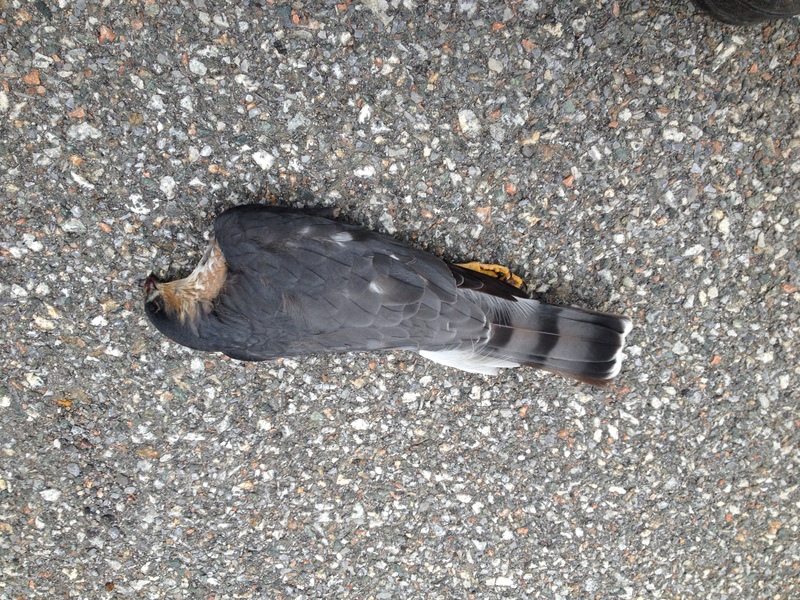 Posted in: Wildlife Vehicle Collisions. 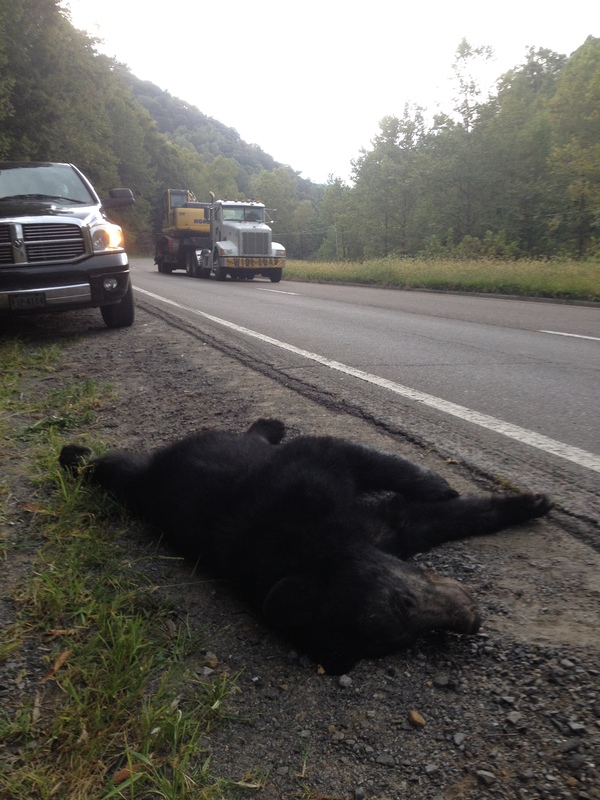 Tagged: Appalachian, Human Wildlife Interations, roadkill, wildlife vehicle collisions. New research from faculty members James Vance and Wally Smith and Department of Mathematics and Computer Science alum Gabrielle Smith has recently been published in the journal Human-Wildlife Interactions. Smith is currently a graduate student at Virginia Tech. 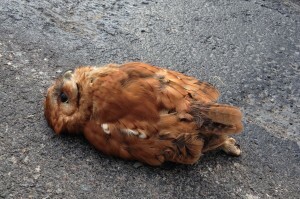 The team investigated rates of wildlife-vehicle collisions in 2015 along two highway routes in Wise, Russell, and Tazewell counties in southwest Virginia, finding nearly 2,000 individual roadkill events impacting 65 different wildlife species. 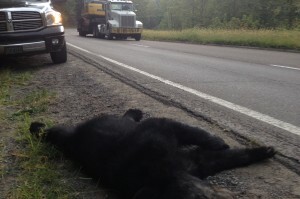 Their results provide valuable information for transportation officials and others seeking to minimize wildlife-vehicle collisions on Appalachian roadways – a leading cause of wildlife mortality and a phenomenon that costs billions annually to drivers across the nation. You can access the full article here. 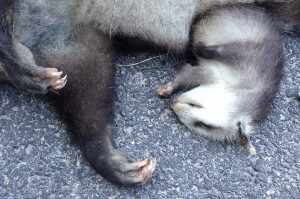 Posted in: Wildlife Vehicle Collisions. 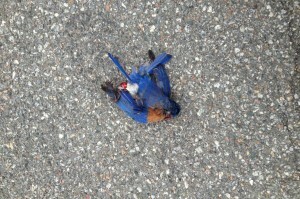 Tagged: roadkill. 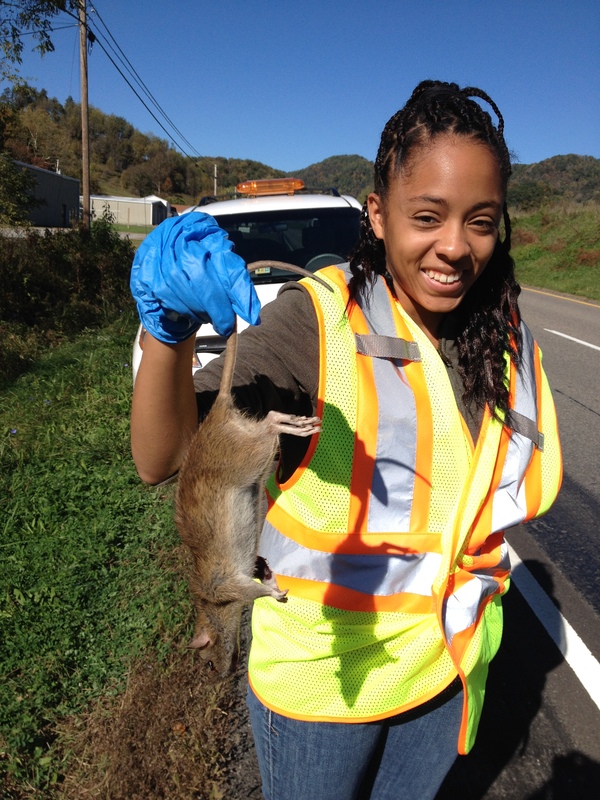 In 2015 we conducted biweekly roadkill surveys from Richlands, VA to Wise, Va along Rt. 19 and Rt. 58. 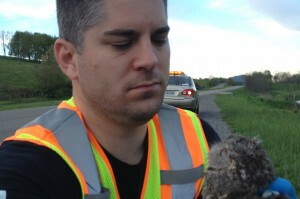 We observed 1837 roadkills from 65 species. We traveled a total of 15,022 km. We observed 1415 mammals, 188 birds, 122 domestic animals, and 105 reptiles with 9.7 roadkills per 100 km on the Coalfields Route and 15.0 roadkills per 100 km on the Ridge and Valley Route. 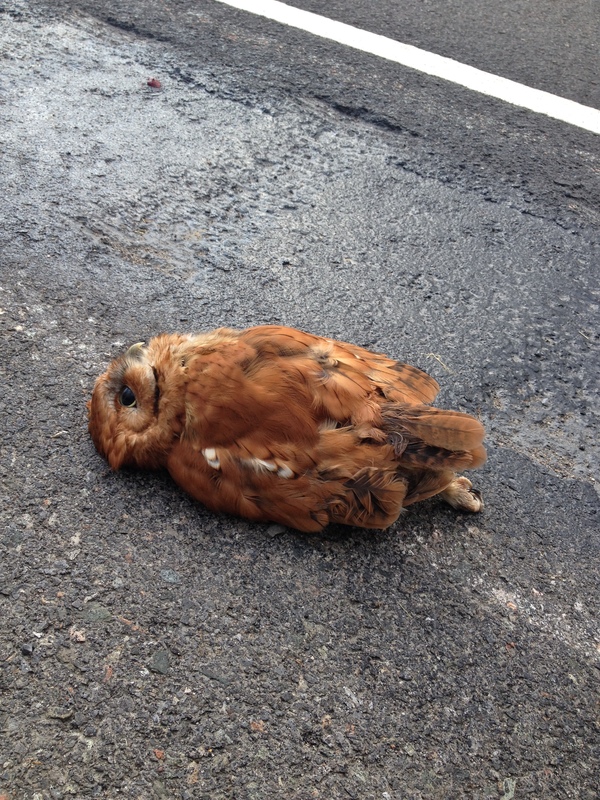 Several species of conservation concern were observed as roadkill. 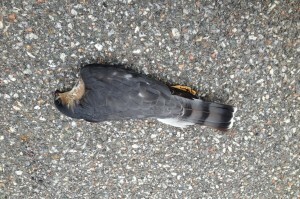 According to the Virginia Wildlife Action Plan, Tier I – Critical Conservation Need: yellow-bellied sapsucker (1), Tier III – High Conservation Need: eastern box turtle (43), Tier IV – Moderate Conservation Need: gray catbird (5), eastern towhee (4), brown thrasher (2), eastern meadowlark (2), chimney swift (1), eastern kingbird (1), eastern wood-pewee (1), yellow-throated vireo (1). 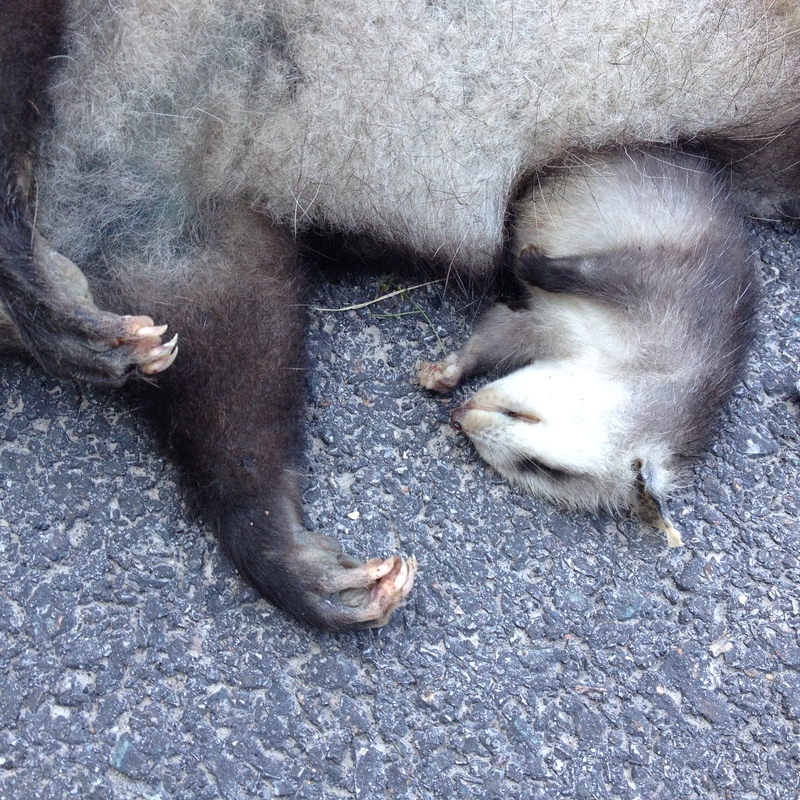 The bulk of the roadkills were meso-mammals including 408 Virginia opossums, 272 raccoons, 161 woodchucks, 127 eastern cottontails, 99 domestic cats, 98 stripped skunks. We also observed 79 northern gray squirrels, 58 fox squirrels, 53 white-tailed deer, 43 eastern box turtles, 27 eastern screech owls, and 24 snapping turtles. 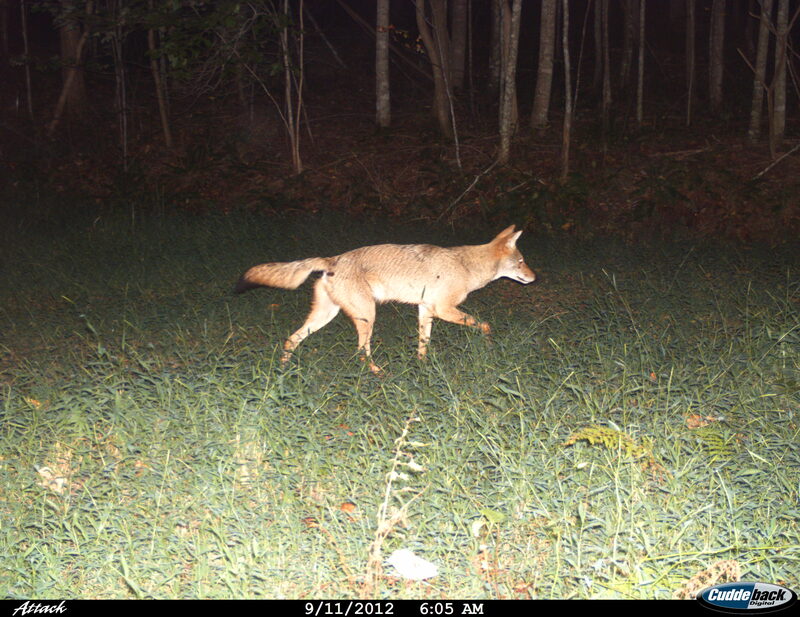 Using the Virginia Department of Game and Inland Fisheries Information Service, of the 24 species of mammals over 100 grams that occur in our area, we detected 83% with no detection of mammals under 100 grams. For snakes and turtles we observed 22% of the 18 species over 100 grams with no detection of reptiles under 100 grams. 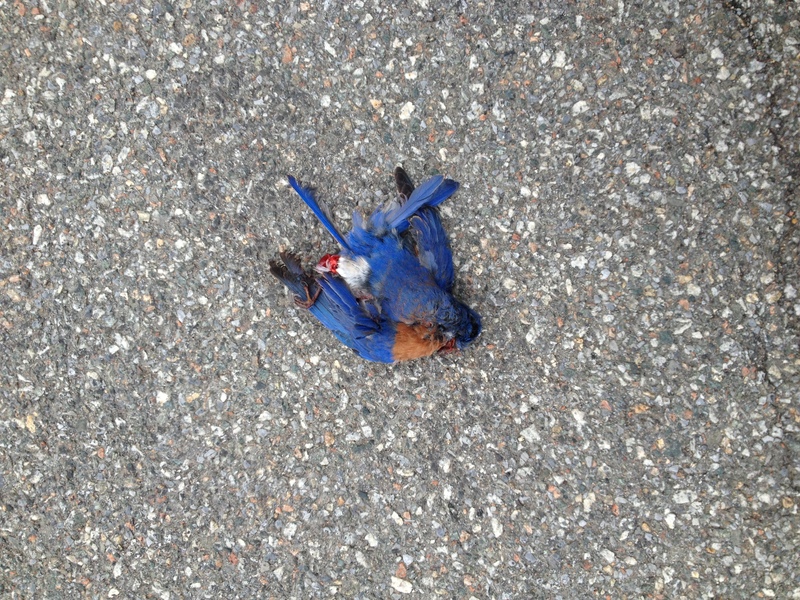 For birds, we detected 26% of the 68 species over 100 grams and 15% of the 134 species under 100 grams. 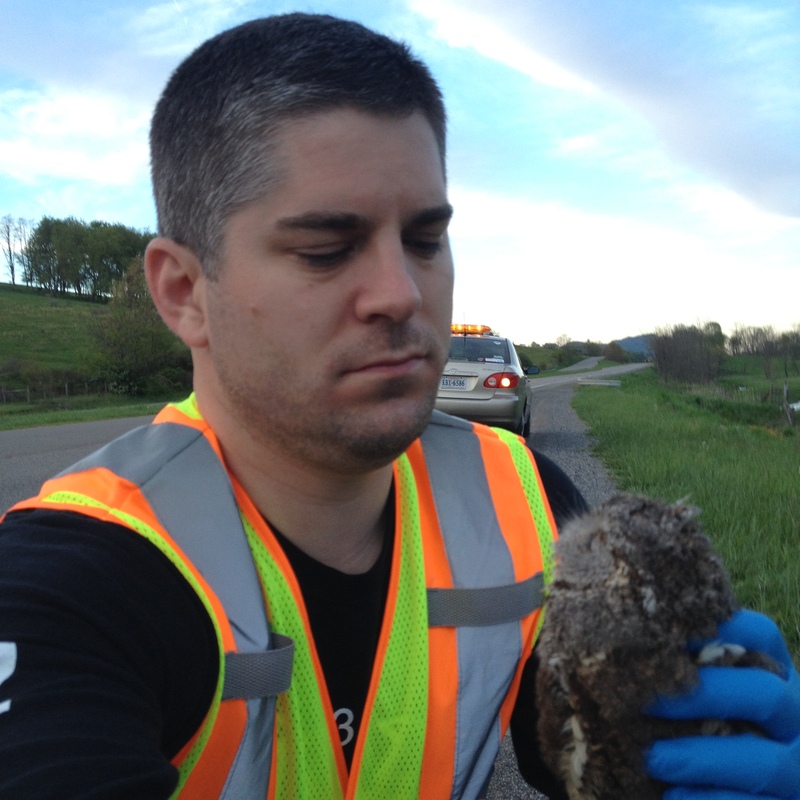 We have to conclude that roads have a huge negative impact on wildlife in Southwest Virginia. 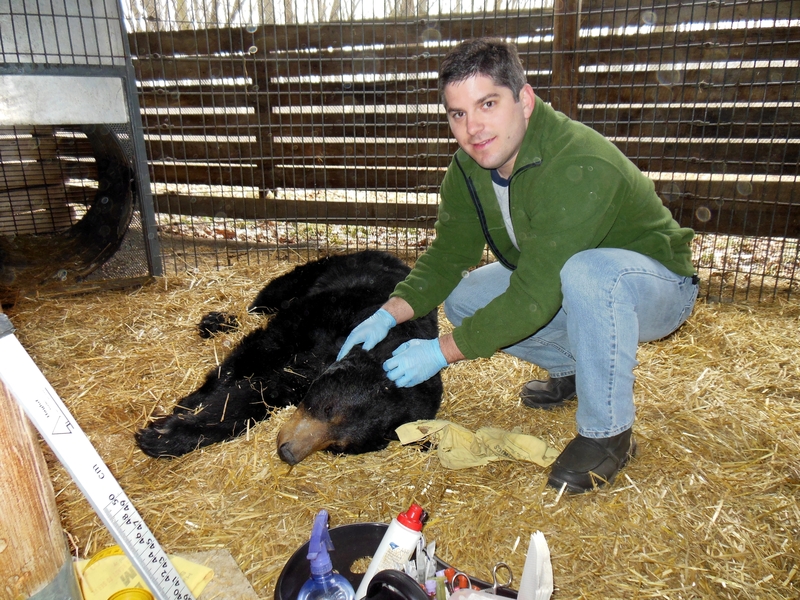 Listen to an interview with Dr. Vance entitled “Animal Intersections: Decoding the Problem of Roadkill” With Good Reason Radio aired on April 28, 2017. 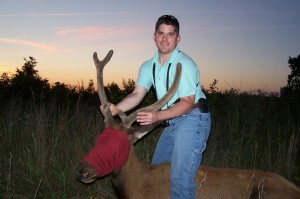 Posted in: Elk. 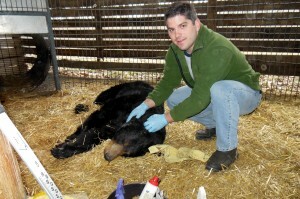 Tagged: black bears. 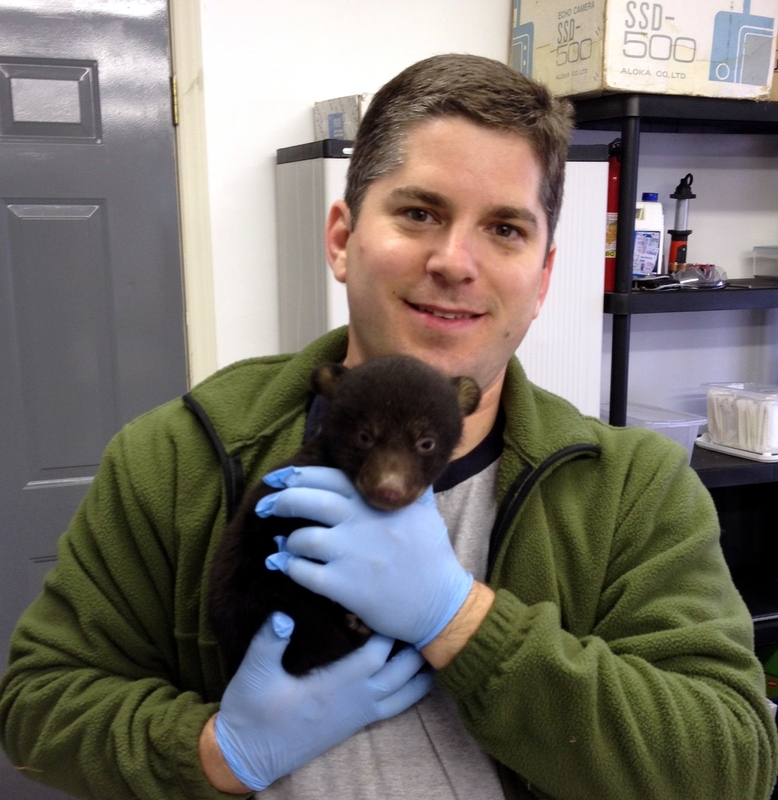 As a Research Associate in the Department of Fish and Wildlife Conservation at Virginia Tech I have had the opportunity to work with the Virginia Tech Black Bear Research Center (VTBBRC). It is a nice break from working with elk all the time. There is some connection between bears and elk, though. 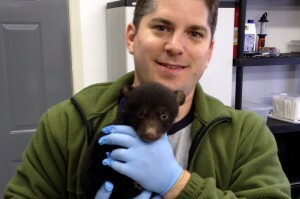 The American Black Bear (Ursus Americanus) is a normal predator of elk calves. Bears were especially problematic in The Great Smoky Mountains National Park in the early years of the Elk Restoration Project. Posted in: Elk. 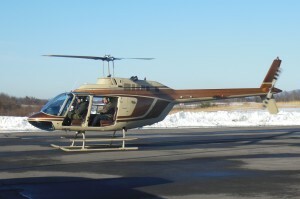 Tagged: helicopter elk survey. 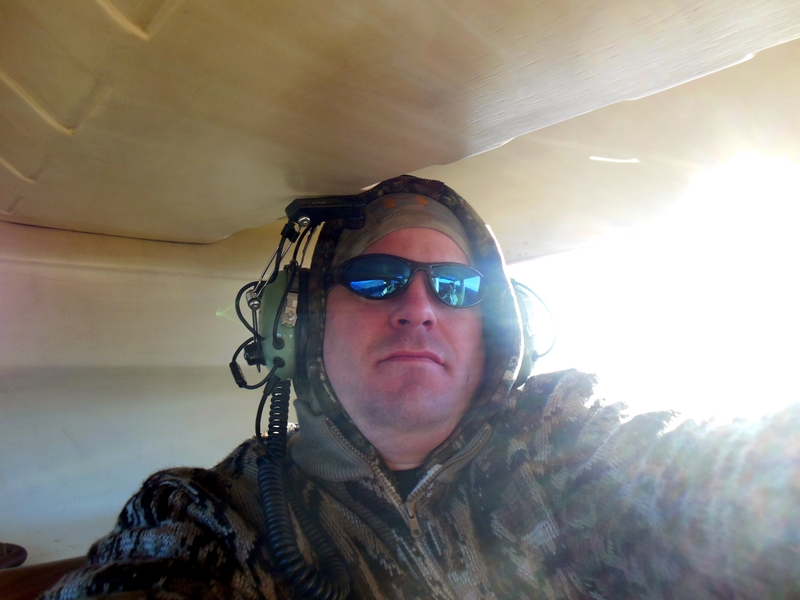 In the last two weeks I have helped Virginia Department of Game and Inland Fisheries (VDGIF) staff with a double count elk sightability study using a helicopter. The study is conducted in the winter when elk are grouped together and forest canopy is open. VDGIF is conducting the study every three years beginning in 2011. 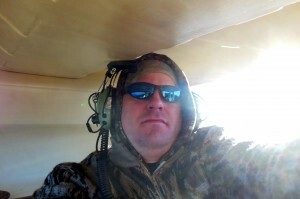 In the rugged mountains of southwest Virginia, helicopters are the best means of flying relatively low and slow over the terrain so animals can be spotted. 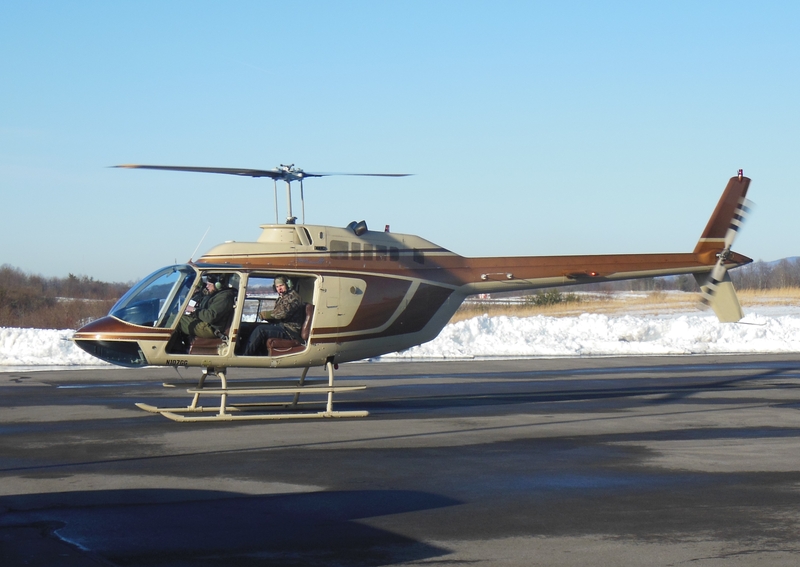 Survey blocks are flown in parallel transects with observation rates of each observer recorded to estimate elk density. It has been quite cold especially with the doors off so we can see. We have seen elk, deer, wild turkeys, ducks, woodpeckers and great blue heron. Thankfully, I haven’t gotten sick but I have been taking motion sickness pills. Between July 30th and August 16th, I deployed 5 GPS satellite collars programmed to take GPS fixes every 5 hours. 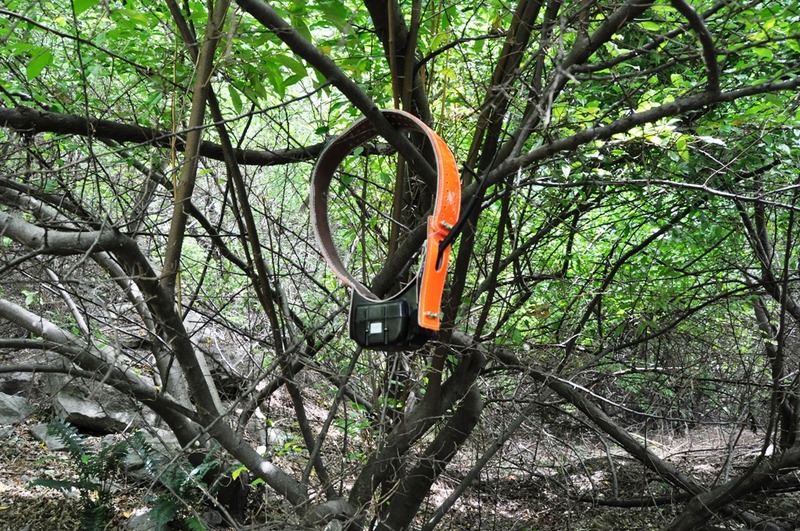 The collars where attached to strings between trees in forested areas or on fiberglass stakes in open areas. 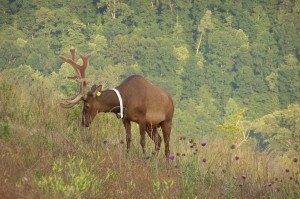 The study area is the elk release site in the Virginia Elk Restoration Zone. The purpose was to determine the fix rates and precision of the fixes for varying elevations, slopes, aspects, cover types, canopy closures, and distances from the ground. 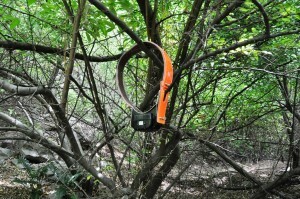 I moved the collars to different locations every 4 to 5 days over the three week period. 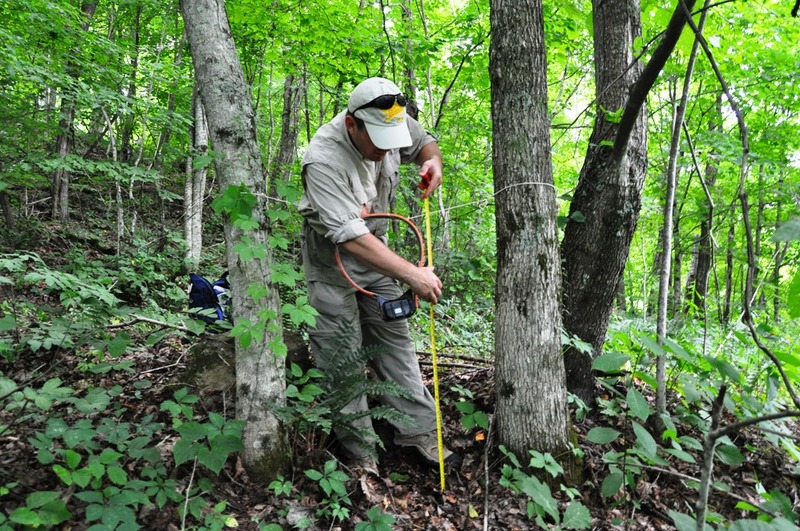 In this steep mountainous Appalachian terrain, we expect varying fix rates and precision estimates. 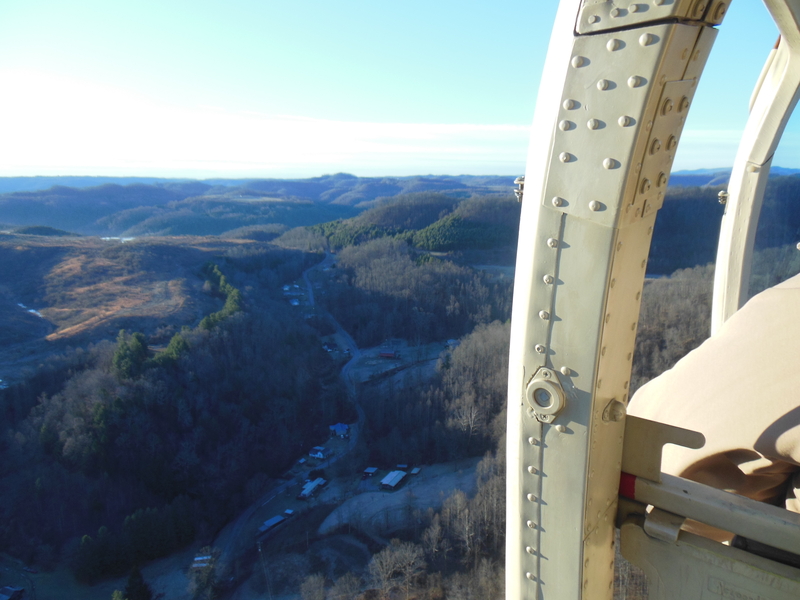 We expect lower fix rates and less precision at lower elevations in thick canopy cover and higher fix rates and more precision on high flat open areas. However, the effects of aspect, canopy type, and distance from ground are unknown. In general, the collars were not disturbed by humans or animals. The one exception is when a yearly bull elk decided we wanted to investigate further. He eventually pulled the collar and stake out of the ground. 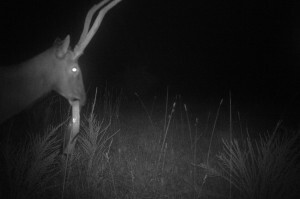 Elk are vary curious animals and ofter mess with trail cameras. 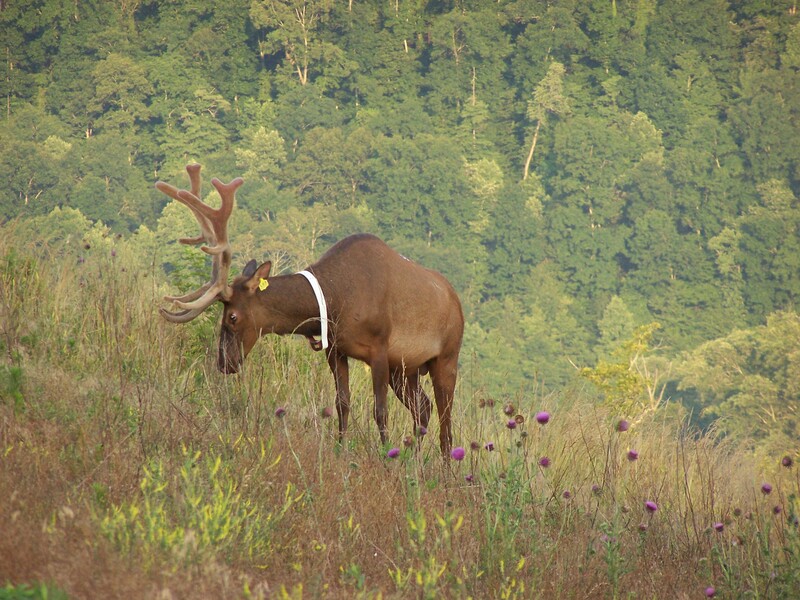 We conducted this small study to help determine the confidence we can place in our resource selection models which are based upon the GPS satellite collar data for the 26 collared elk in Virginia as well as GIS data. Photos (except trail cam) courtesy of Allen Boynton. Thanks Allen. 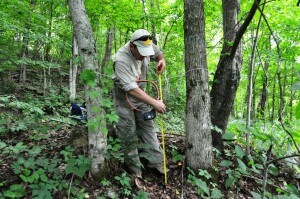 I went to Kentucky this week to field train with University of Kentucky PhD student John Hast. 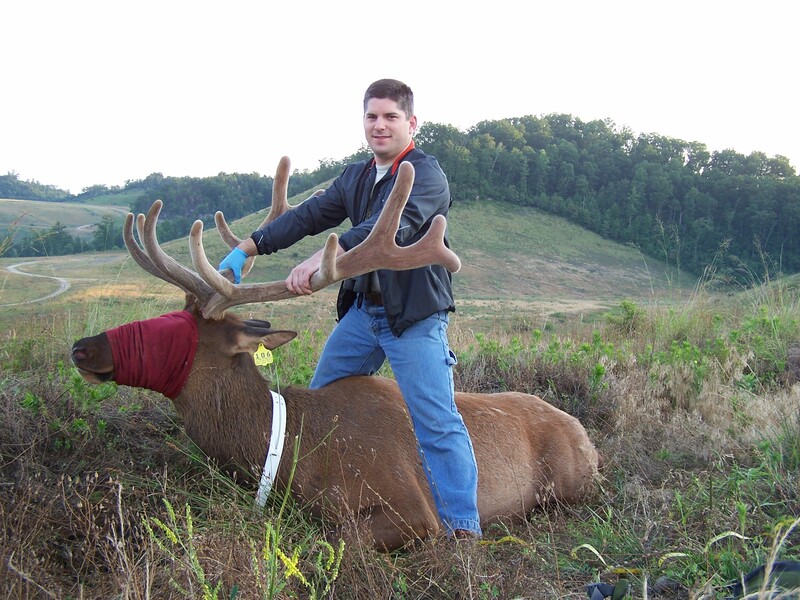 John’s research focuses on bull elk population ecology, health (parasitological and disease aspects) and resource selection. 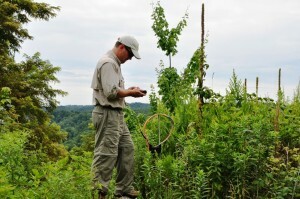 He is working under University of Kentucky Department of Forestry Professor, Dr. John Cox, in conjunction with the Kentucky Department of Fish and Wildlife Resources. John was a great help on chemical immobilization techniques and best practices. We also discussed VHF and GPS collar field techniques as well as data analysis. Thanks John! 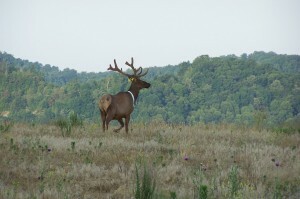 The Commonwealth of Kentucky has over 10,000 free-ranging elk now. 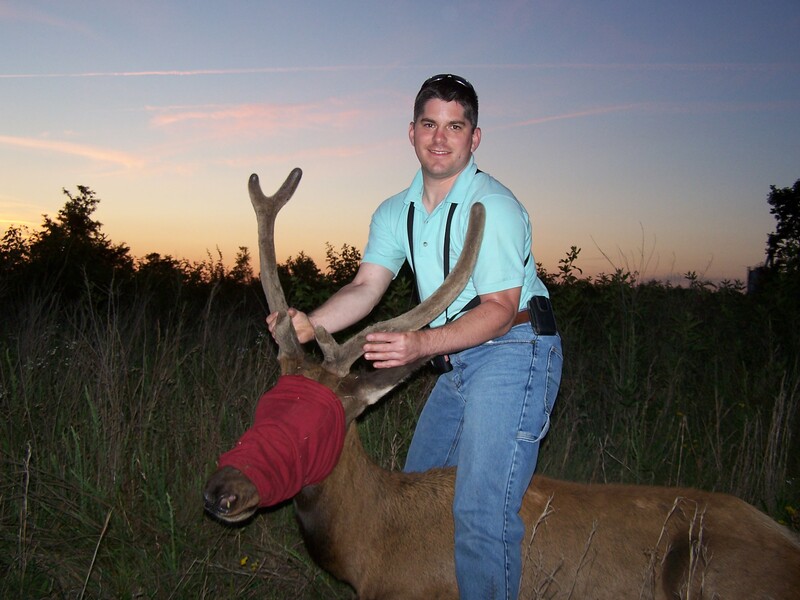 From 1997 to 2002, Kentucky released 1,500 elk relocated from western states. 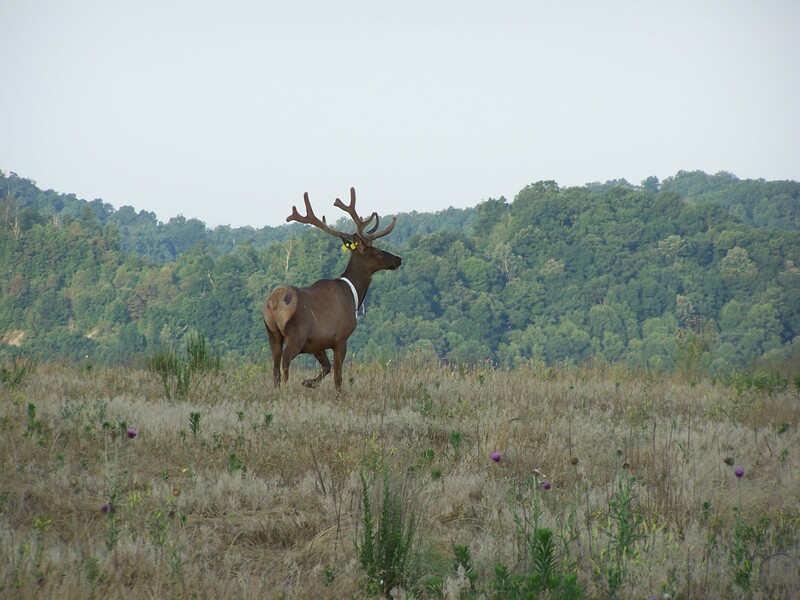 The elk restoration zone consists of 16 counties, approximately 4 million acres, in eastern Kentucky. 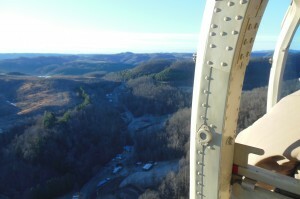 The area contains numerous reclaimed surface coal mines interspersed with forest creating the right habitat combination for elk to thrive. Elk calving season is underway in Virginia. 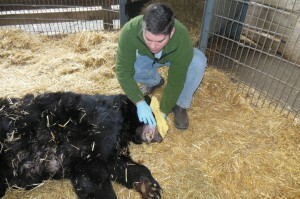 Two calves were born in the acclimation pens before the soft release into the wilds of Virginia. 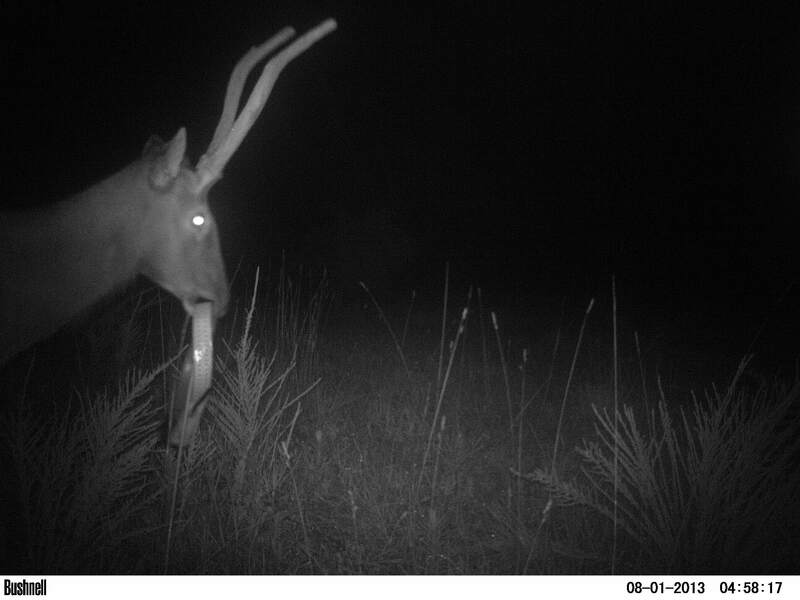 Calves from elk released last year have also been spotted. Calves are usually born in late May and into June. Cows usually give birth to only one calf per year. Newborns weigh about 35 pounds and can stand within minutes of birth. Hopefully we will have good calf recruitment this year. 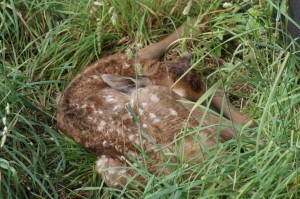 It will probably be August before we get an accurate count of the newborn elk. 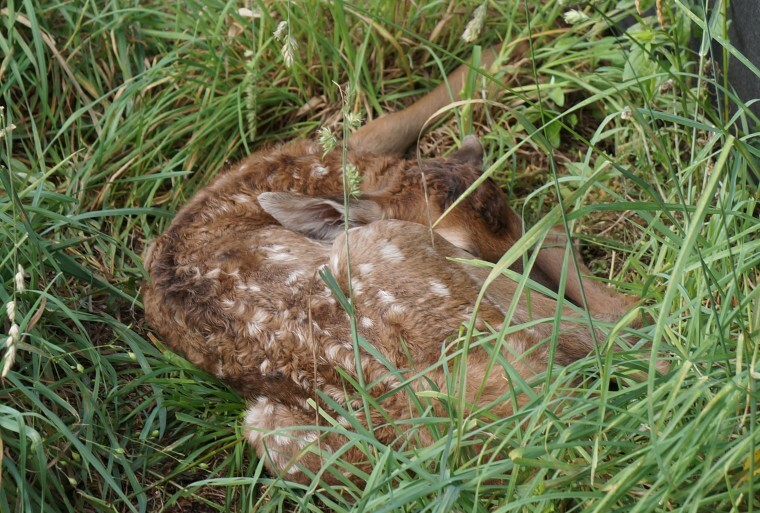 Coyotes, bobcats, and black bears may prey upon newborn elk calves in the eastern United States. In the west, mountain lions and wolves also prey upon newborns. 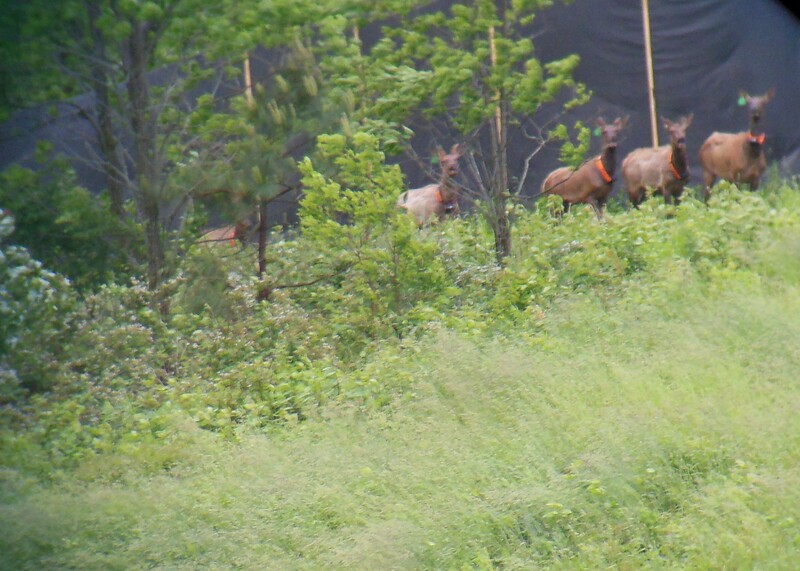 The Virginia Department of Game and Inland Fisheries relocated 8 yearling bull elk and 2 mature cow elk on May 23 from Kentucky to the acclimation pens in Vansant Virginia. The elk will stay in the pens for 4-10 days to acclimate to the area before being released into the wild. All of the elk have GPS collars for tracking the elk movement. Dr. Vance will start analyzing the GPS collar data this summer to determine the effect of the 10 new elk on the current herd dynamics including dispersal. 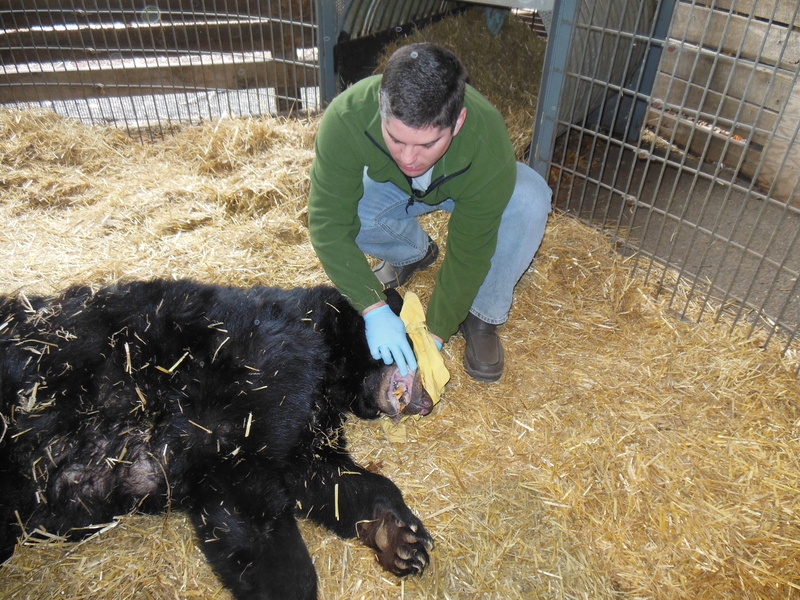 He will also determine the telemetry collar accuracy to help with the habitat selection analysis.